We’ve been saying it for a while, but HERE IS AN ARTICLE YOU SHOULD READ on the government, poverty, and education “bio-cycle”! Despite enormous technological advances, humanity continues to grapple with three enormous burdens: poverty, disease and terrorism (both individual and state-sponsored.) Although the policies aimed at solving those problems are different, there is one approach that can help lower the negative effect of all three: education. There is a clear connection between poverty and a lack of education. Although overall access to education has risen markedly over the past decade, poor children are still less likely to attend school or be enrolled in school and also more likely to repeat grades than those who come from more prosperous families. It is harder for children from poor families to have easy access to schools, because schools tend to be concentrated in urban areas where only better-off families live. Gender disparity in access to education is also greater among the poor. To be a girl from a poor family becomes a double disadvantage. In addition, gender bias against girls in approaches to teaching and the degree of attention they receive from teachers- leaves girls at a further disadvantage. 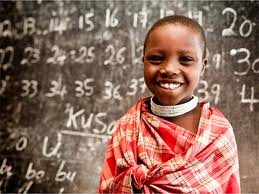 The gender gap is generally wider at higher levels of schooling, particularly in developing countries. 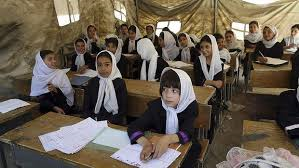 According to some estimates, women in South Asia, for example, have only half as many years of basic education as men, and female enrollment rates at the high-school level are two thirds that of males. Governments tend to spend less on public education -the kind of schooling that tends to benefit mostly the poor- particularly in developing countries, during times of economic crises. In addition, wars, civil conflicts, and epidemics disrupt school services and school attendance. The wars in Afghanistan, Iraq, Yemen, Libya, to name just a few, are ample evidence of this, as is the effect that the Ebola epidemic is having now in several African countries. Eliminating gender bias in education is particularly important when the parents’ level of education is considered with regard to their children’s educational attainment. To increase the chances of their children’s success, several studies have shown that educating mothers is more important than educating fathers. Educated girls develop better essential life skills, including self-confidence, the ability to participate effectively in society and the capacity to better protect themselves from HIV/AIDS and sexual exploitation. Girls’ education not only empowers them, but is also considered the best investment in a country’s development. Although many diseases are unavoidable, others are created or worsened by social and living conditions. The World Health Organization has insisted on the importance of the “social determinants of health,” which are the social and economic conditions in which people are born, grow up, live, work and age. They significantly influence people’s health status, their access to education and social services and their quality of life. In regard to terrorism, one question notably absent from the discussion on this phenomenon are the reasons behind it, and why it has increased so markedly in recent years. Although many countries suffer this problem, it seems to be aimed to a large extent against the U.S. One cannot avoid thinking how the foreign policies of the U.S. have been a major cause. Among those policies are: the presence of U.S. troops in Arab countries; the U.S. support for dictatorships throughout the world; the widespread use of torture and humiliation in U.S. prisons, particularly against prisoners from Arab countries; and the unconditional U.S. support for Israel’s policies in the Middle East to the detriment of Palestinians’ rights and aspirations. Rather than trying to understand those reasons, the U.S. has led a brutal war against those it perceives as terrorists, killing thousands of innocent people in a state of unending war of enormous economic cost. Rather than eliminating terrorists these policies are only fueling the creation of new ones. As Malala Yousafzai, the 17-year-old Nobel Peace Laureate Pakistani young woman told President Obama: “While guns only kill terrorists education kills terrorism.” As such, it is necessary to improve the disenfranchised youth who may become involved in violent activities. These three burdens of humanity: poverty, disease and terrorism can be better solved through education, by adequately responding to people’s just grievances and by putting emphasis on policies that address justice and human rights concerns.